Ideal for shooting burst-mode photos and 4K video Class 10 UHS-I U3 speeds up to 100MB/s read, 70MB/s write. Kingston's Canvas React™ SD card is designed to be as fast as you are, capturing 4K video or taking stunning burst-mode photos when the action doesn't stop. Whether you're using the latest DSLR or mirrorless camera, you can be con­ dent that your memories will be safe. It's available in multiple capacities up to 256GB, to provide plenty of space to capture an entire shoot. 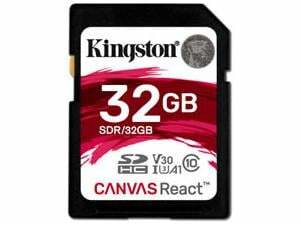 Kingston Canvas React cards are tested to be durable, so you can take them anywhere with confidence that your photos, videos and other data will be protected, even in harsh or unstable conditions. - Designed for action - Your subject doesn't slow down so neither should your card. If you need a card with high-speed burst mode or 4K support then look no further. - 4K video - The advanced UHS-I U3 interface and V30 video speed class make the card ideal for cinema-quality 4K video. - Get your memories faster - Transfer and edit your memories quicker thanks to the incredible 10x read speeds over traditional Class 10 SD cards. 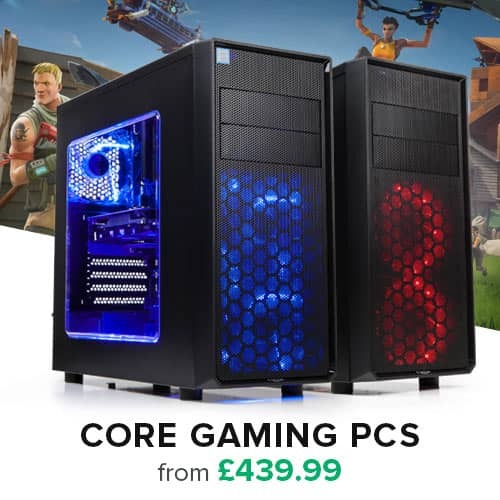 - Durable - For your peace of mind, the card has been extensively tested and proven to be waterproof, temperature proof, shock and vibration proof and X-ray proof.